To bring a claim for dental negligence you must satisfy two elements, firstly that there has been a breach of duty and secondly that the breach has caused you a worse outcome. Causation is often referred to as “but for” what would have been the outcome for the patient but for the negligence. If the outcome is considered to be worse, or they have required further treatment then causation can normally be proved. The claimant must satisfy “The Bolam Test” this is a specific legal test in order to determine whether or not the treatment was so poor that it fellow below the acceptable standard. The test states that claimant must prove that the treatment fell below the reasonable standard of reasonably competent practitioner in the relevant field practising at the relevant time. When we are looking at whether or not there has been negligent treatment, we have to examine whether the treatment was reasonable. If, given all the circumstances then the dentist acted in a reasonable way, albeit not best practice, then there will be no claim for negligence. Secondly, we have to look at whether the harm that has been caused is as a result of the negligence or whether it is a recognised risk of a procedure. For example, sometimes patients experience a “dry socket” after a tooth extraction whilst this can be very painful and require further treatment, this is not due to the dentists negligence and therefore there would be no breach of duty. 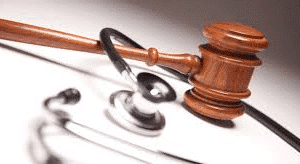 It is really important to identify exactly when the breach of duty took place because of the strict 3 year time limit on bringing medical negligence claims. There are often a number of different attendances with the same symptoms and various treatments are provided. As a Paralegal my role involves examining the dental records and comparing the symptoms and treatment that was provided with what the recommended guidelines for treatment are. How do you prove breach of duty? In order to prove that there has been a breach of duty a like for like expert is instructed, they are asked to comment on the standard of care that has been provided and for their opinion on whether or not the treatment or lack of was reasonable. If you think that you have had negligent treatment, or perhaps you have been told by another dentist that the treatment you had previously was substandard then we advise you obtain legal advice. We can offer guidance on the legal tests and whether the treatment that you had fell below the reasonable standard. Please look out for our next blog which will examine the second part of the test for dental negligence, causation.